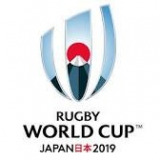 Subscribe to the Rugby World Cup 2019 to receive score updates from your favourite team direct to your inbox, phone or Facebook!. Are you sure your number begins with a 0? Macoocoo will never post to your page or timeline without your explicit authorisation.